Comments: This is a tall growing palm that produces a gray trunk and huge fan shaped fronds that have threads along the edges of the leaflets. Leaf stems are smooth. Old browning fronds persist for a long time if they are not removed each year. 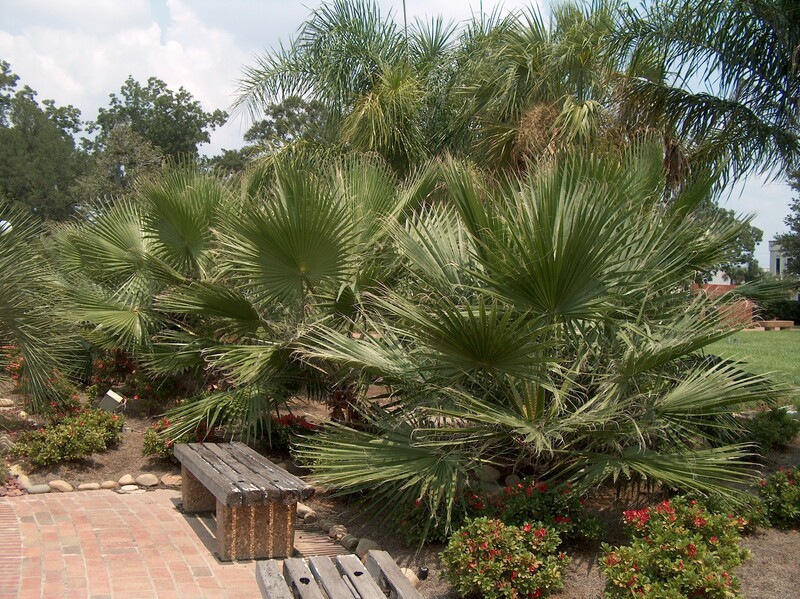 These "peticoats" can be rather unattractive on a stately palm.